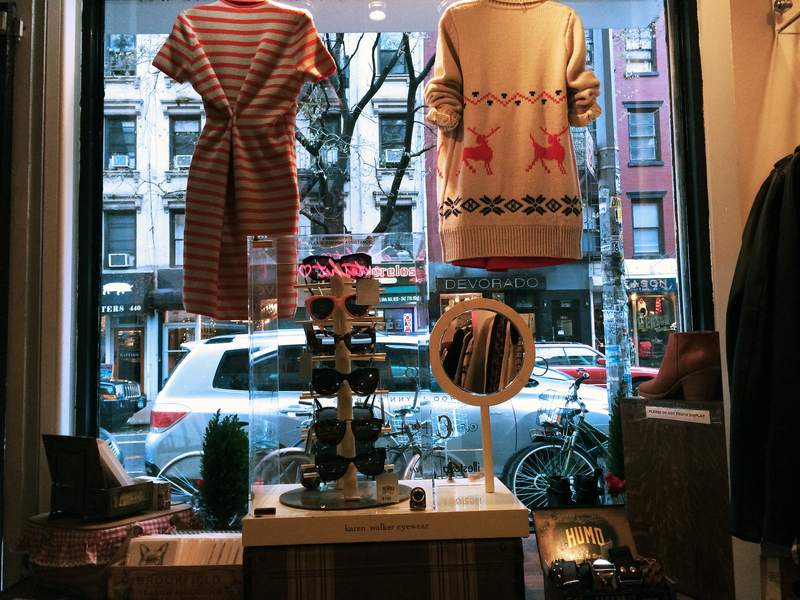 East Village street style meets gorgeous vintage, is just one way you could describe the aesthetic at Cloak & Dagger. This multi-brand boutique tucked away on 9th street not only embodies the neighborhood vibe of casual cool, it has just the right amount of edginess to keep you coming back for more. If you're a fan of the label Libertine, you've already been introduced to Brookelynn Starnes who learned the ropes of running a fashion line while working as a design consultant at Libertine. She recently gave up her design consultant position to focus full-time on Cloak & Dagger, her personal label and the namesake shop where she styles her collection with her other favorite brands. Starnes may be young but she's been in the fashion industry for years, and certainly knows a thing or two about styling having worked with some of the industries big names such as Prada and Zac Posen. Cloak & Dagger is basically a love letter to the style Starnes adores—a little vintage, a little street, and some of our favorite local designers, all merchandised in a way that makes you want to wrap up the whole lot and take it home to your closet. You'll find a few carefully selected vintage piece chosen to compliment the designer duds, as well as an on-point selection of shoes, boots and jewelry to complete your new outfit. Besides the lovely Cloak & Dagger label, we lusted after a super cute pair of grey Freja x Mother Denim skinny jeans, an adorable 60's-esque aline dresses by Lauren Moffatt, and a ton of must have core basics from Sessun. Top that off with the trendiest pieces from Opening Ceremony, and the oh-so-perfect Rachel Comey Whiskey Mars Booties, and this just might be our most successful shopping trip to date.